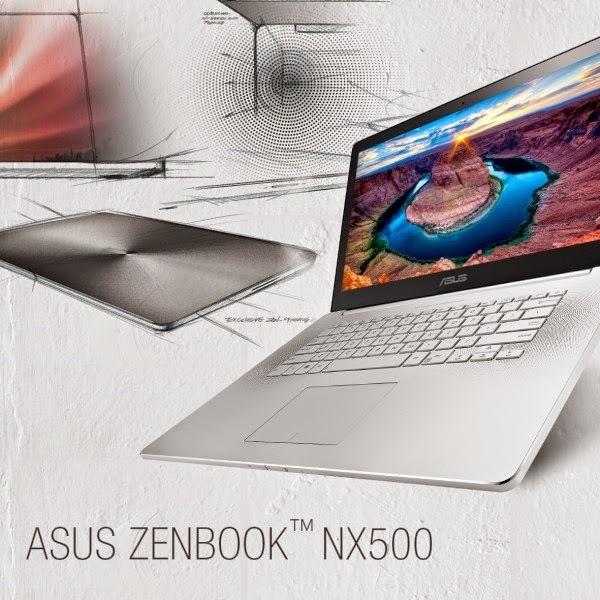 At Computex 2014, Asus showed off the Zenbook NX500 in what looks to be a MacBook Pro killer. 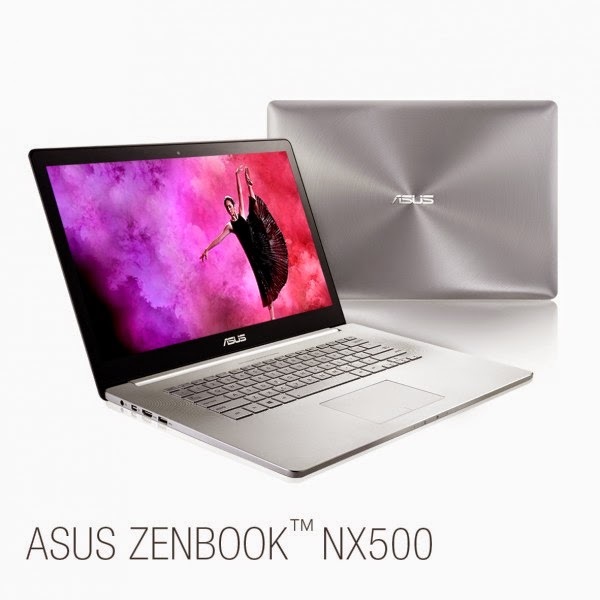 This is a high end gaming capable 15.6" (3840 x 2160 resolution) IPS touchscreen ultrabook, 0.74in (19mm) thick, weighing in at 5.2lbs (2.4kg) sporting Intel Core i7-4702HQ quad core processor, NVIDIA GeForce GTX 850M 2GB graphic card. Ports include 3x USB 3.0, HDMI, card reader, and a mini-display port. 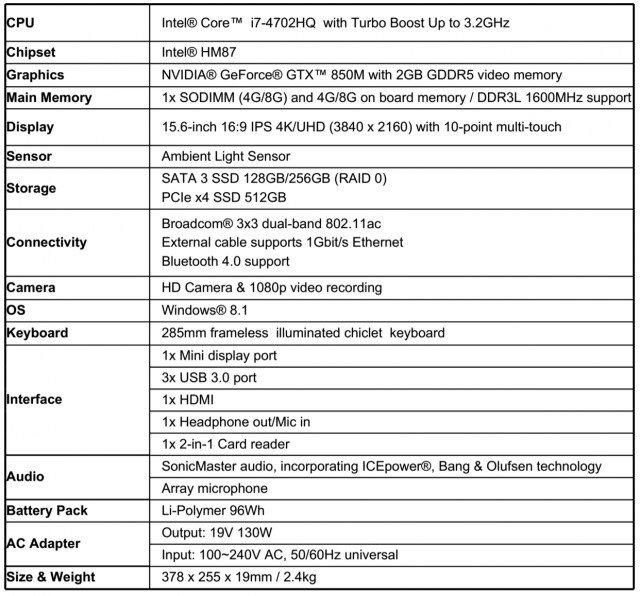 Release date and pricing is unknown but I have to say, this is one stunning laptop! !